I've got a little behind in writing up T's story bags, I was determined to do it this month! 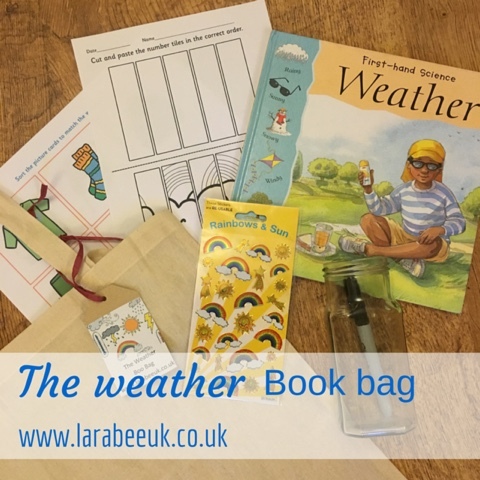 This months bag is slightly different as the book is not a story book, I looked for a long time to find a suitable book about the weather for his age group and in the end opted for this one which actually is recommended for 7+ I'm not sure why as it's great for any age. In fitting with this months 'weather' theme I included some weather related learning elements. 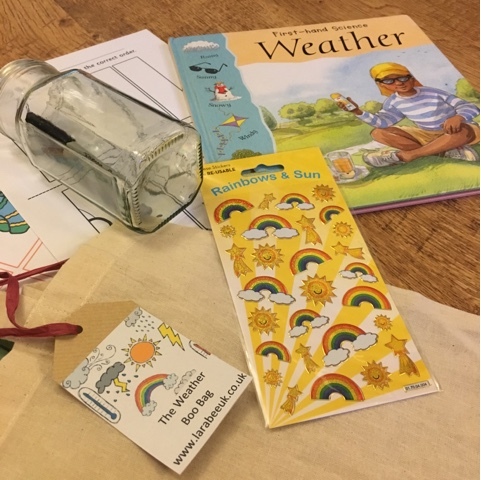 Some Twinkl weather printables, both games, some weather stickers and a jam jar and pen for a little science experiment to do through the week. 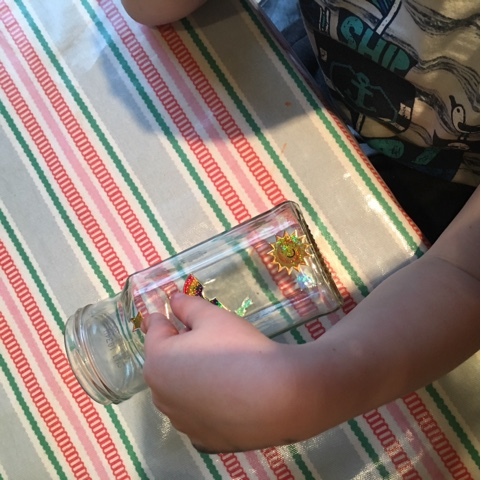 We stuck some of the stickers onto 3 sides of the jam jar and left the fourth side blank and popped the jam jar out Sunday evening. Monday evening when we got home from nursery we went outside with a sharpie (and tea towel!) and marked how much rain we'd had on Monday. 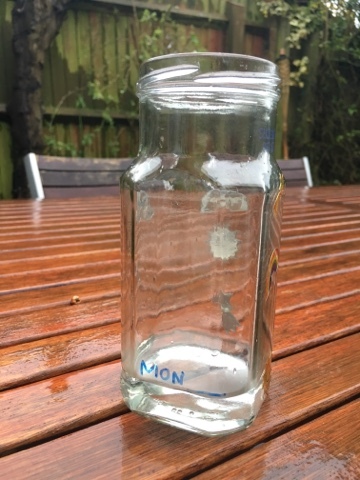 We popped the jar back on the table and will record how much rain we've had for the rest of the week too. Our book talks about different weather types and what weather comes with each season, T and I talked about April showers and reasons why showers particularly comes in April T came up with the genius idea of it being to wash the blossom away (which, whilst beautiful at first was starting to make a mess in our garden!) I love how some learning really gets his imagination going and when he can justify his thinking he amazes me. This bag would be suitable for any aw child from toddler as the activity is simple and the book has some great pictures and information. You can find the rest of our weather themed activities and food here. You can see all of our book bags (we call them 'boo bags') here. Great idea! I am exploring non-fiction books with my daughter - I decided at the beginning of the new year to buy her one a month and she is loving it. I realized I'd been overly focusing on her reading fiction! 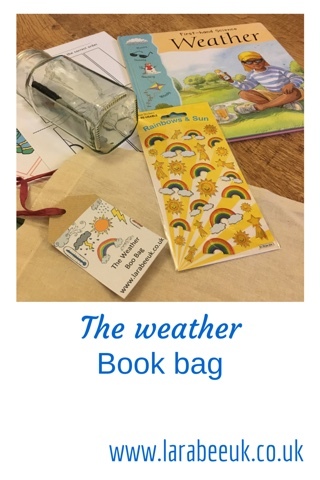 Great idea, we love learning about the weather and doing activities like this. The book looks fab. This is so cool. This is such an awesome tradition. Definitely will try it. I've been meaning to make book bags since forever. I adore this one especially the rain jar perfect for this miserable weather we keep having! This is great! 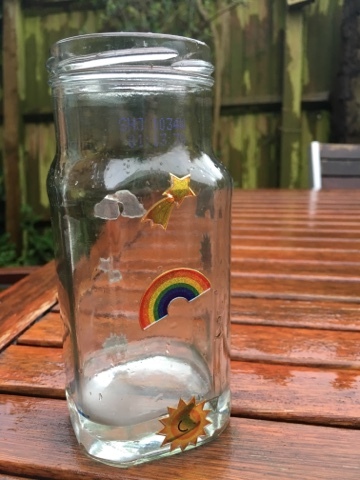 Love the rain-ometer! I was looking at something similar in Tesco today and they wanted £8 for it! I think we will go with your option! 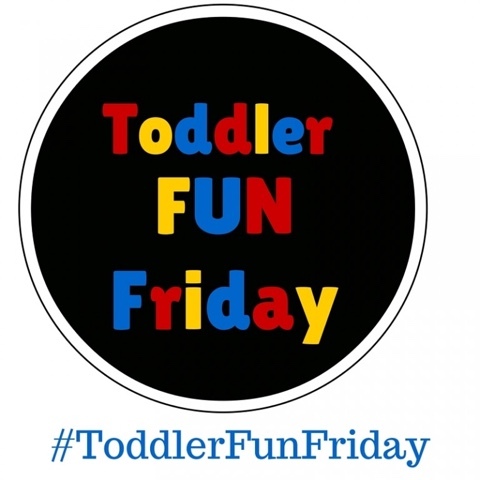 Thanks for sharing on #ToddlerApprovedTuesday, come back soon!